One thing about Delhi University that you didn’t know is that it reflects the true cultural heritage of the country. We often refer to India as, “A country with Unity in Diversity because of the cultural and geographical diversity we possess”. From the majestic Himalayan peaks in the north to the sun-kissed beaches in the south to the great Indian desert in the west, to the breathtaking natural heritage in the east- all make India geographically vibrant, colorful and truly incredible. Different people of different culture live together and this makes India more alluring. Similarly, Delhi University is a small world consisting of different people came from different corners of the world. It is just like a kaleidoscope of different cultures, ideologies, and people. This mystifying place unites divergent people having a bag full of dreams. Students come to Delhi University with a bag full of dreams having a hope that they will fulfill them at any cost. They promise themselves that no matter what they are bound to achieve what they are destined to. Delhi University is home to the coolest crowd which has a brilliant faculty, the best of student fests and heavenly hangouts around campus come in all shapes and sizes. Let’s talk about the history of Delhi University. Just like every Karan Johar movie has a beautiful beginning, similarly, this story too has its beginning. The journey of Delhi University started in 1922 with just 3 colleges, 2 faculties, and 750 students. And today in 2019 it consists of 77 colleges, 86 departments, 16 faculties, and over 4 lakh students. Bravo Delhi University! Delhi University has been divided into different categories. The colleges located in North Delhi are termed as north campus such as Ramjas College, Hindu college, Miranda house, IP College and so on. The most convenient way to reach the North Campus is via yellow line – Vishwa Vidyalaya to metro station. The colleges located in South Delhi is termed as south campus like lady Shri ram college, Gargi college, KMC and so on. Students dream to be at Delhi University because of these beautiful colleges. As we say, Picture abhi baaki hai mere dost. The story of demystifying Delhi University start here. Here are a couple of things and places that I am sure you didn’t know about Delhi University. This also has names of places to visit in North Campus. Every sight has some interesting story to tell. The famous north campus ridge might be a cool hangout or a lovers’ point to you but it also has some interesting stories to tell. Ridge also called as Bonta, is now a prime spot for love stories and activities that can’t be mentioned here. Ridge is an extension of Aravalli Range and covers a distance of almost 35kms in Delhi. The flagstaff tower which continues to exist in the Ridge area was used as a signal tower. The Ashokan Pillar was brought to Delhi from Meerut by Firoz Shah Tughlaq in 1356 and a Mutiny Memorial which is again a tower commemorating the battle between the British and the Indians in 1857. Another interesting fact is ‘Khooni Lake’. Its name itself creates a horror feeling. It’s hard to find this lake as it is located deep in the ridge. Ridge bears strong footprints on India's freedom struggle. Intriguing part of the Northern Ridge is the “Khooni Lake”, named so because during the revolt of 1857, the lake, which was used as a water source, turned red with the blood of the wounded . . . #igersofindia #yourshot_india #heydelhi #things2doindelhi #india_gram #beingdilliwaala #flavorsofdelhi #dfordelhi #delhihai #delhiwale #delhigram #sodelhi #bloody_history #bloody_lake #delhi_ridge #delhiuniversity #ghost #headless_soldier #history #India #north_campus #northern_ridge #revolt_of_1857 #sepoy_mutiny #Stanley_Delhi_force. The college is famous for its natural beauty since it is the oldest girl’s college in Delhi. This college was established in 1924. Go and explore its beauty. You would be mesmerized completely. An innovation- oriented Centre of learning within the University of Delhi with an entrepreneurial dimension. Here students can opt for B.Tech in humanities and can also get to be part of not just one college, but various colleges each semester. They can opt for many colleges which opens up a lot of opportunities. "I gaze at the sky and I wonder in awe and amazement. " The coffee house located behind the VC’s office is the lone jaunt for North campus students. It was seen that some of the tutorial classes were also organized in the coffee house. It is like a hub for students. One of the great spots to meet friends and chat in a cozy corner over a cup of tea is this place. This small restaurant is famous for its aloo bondas and is located between the law faculty and the arts faculty. 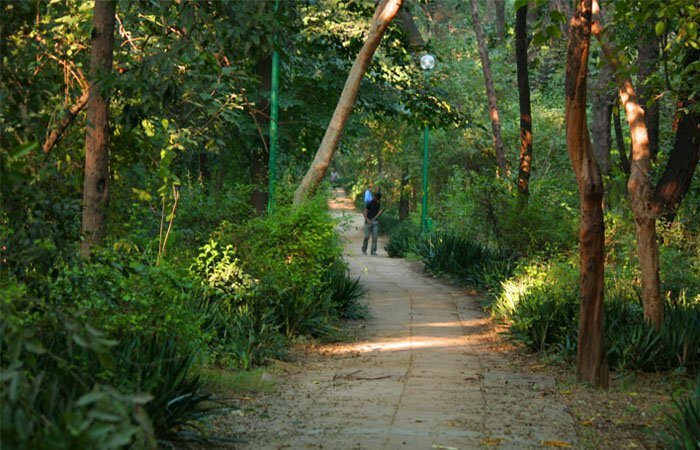 If you happen to join Delhi University north campus, then this place will have the most memories. Yes, not just a hangout place, but a place to share dreams and plan to live them. If you want to relax or want to find peace in this world just go there. Take your eyes off the professors and go there for cycling. Do travel and make the most of it. If you don’t have your own, get cycles on rent but at least try that once in your college life. Enjoy the scenic beauty, flowers, nature, and monkeys. The beauty is worth glaring your eyes at and giving in your time. When you get into the college, go and taste Sudama’s elaichi tea. It runs till late in the night. Everyone can be seen roaming there and then chilling at the tea shop with a Styrofoam cup in hand. Right at the Centre of North campus is the science faculty, the best location for an evening walk or morning walk with your loved ones. The area is relatively greener and cleaner. For the ones who are planning to join North Campus, this place is the calmest of all. You must visit Tom uncle’s Maggie point near Ramjas College. There are more than 20 kinds of Maggie served with Banta or tea. The specialty of this place is that everyone falls in love with this place. Mix sauce cheese masala Maggi 😍 with virgin mojito 👍 #bunlikez #maggi #nestle #cheesemaggi #tomoncle Follow @veggie_bhukkad For more yummy updates. If you are searching for food, then go for momos of Kamla Nagar or Maggie point near metro station Vishwa Vidyalaya. If you are in search of books than go to Daryaganj Market on Sunday and explore new books. Always have a plan while visiting any place. Don’t miss your classes, until and unless it’s important. If you want to explore things do that, but attend your classes first. Attendance is mandatory in DU colleges. You will be hounded for that. Yes, mark my words! Every student has a dream to study at Delhi University but only some of them make it, so work hard. Delhi University is a small world with many mysterious things which can be explored. And since the admission season is approaching, I would suggest gear up and get ready for the best experience of your life.